SECTOR SURVEY RESULTS DOWNLOAD HERE (896kb). 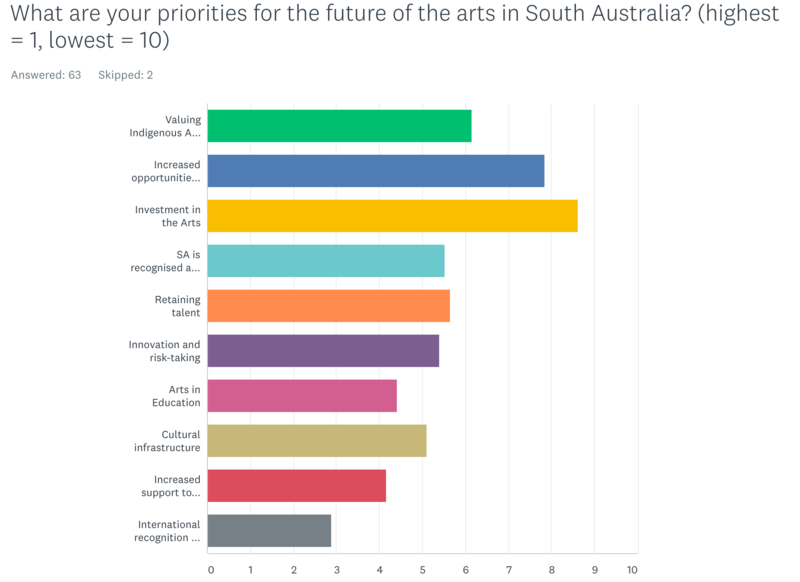 In the second half of 2018 AICSA held two briefing meetings to update the sector on cuts to the arts budget and the dismantling of Arts South Australia. At these meetings many expressed their concern regarding these changes and agreed that this is an uncertain time for organisations, companies and independent artists. Following the September briefing AICSA distributed a short Sector Survey to gauge what are current priorities and concerns for the sector. 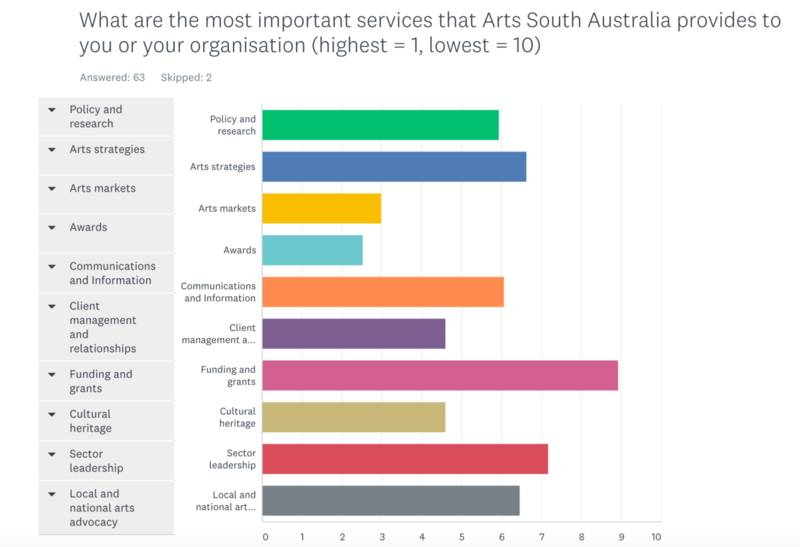 The results of the survey were presented to members and supporters at the AICSA end of year gathering in November. This entry was posted in Advocacy, Surveys. Bookmark the permalink. Comments are closed, but you can leave a trackback: Trackback URL.